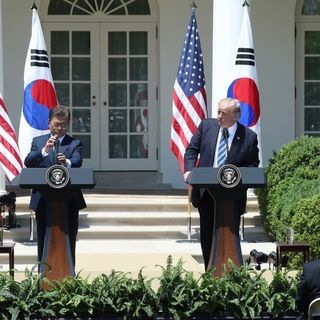 Jenny Town (Assistant Director of the US-Korea Institute at the Johns Hopkins School of Advanced International Studies/Managing Editor at 38North.org) joins host Andre Goulet to discuss Washington's reaction to the surprise announcement of a Donald Trump/Kim Jong-un summit and- what can we expect from this month’s upcoming inter-Korean talks? How do the conditions surrounding the summit compare to the Roh Moo-hun/Kim Jong-il meeting of 2007? Plus: John Bolton as White House National ... Maggiori informazioni Security Adviser adds a dangerous element to peace-making efforts on the peninsula and- why is Seoul still without an American ambassador? All this and more on episode 73 of The Korea File. Mastered by Chris Hernandez at Studio Petit Palais in Montreal.